Aah, the temperate winds of October. To get the obvious out of the way – as predicted in our last newsletter, we haven’t hit the target we set ourselves of summer 2017. It’s now autumn / fall 2017, no matter how you spin it, but there’s no point looking backwards. We’re not making excuses, and we’re going to try to be as transparent as we can be. A recent internal audit of the work left to do to get the game to beta stage revealed that we’re likely several weeks out; in short we’ve underestimated. We’re not the first developers to do so and we won’t be the last, but that doesn’t make it any less frustrating for everyone involved. We’ve opened our big optimistic gobs too soon and are a bit annoyed at ourselves for that. That said, development continues more intensely than ever. To talk realistically about release dates – if everything goes as planned (and honestly that hasn’t been the trend recently) we’re talking closer to the end of this month for closed beta. Still, we refuse to rush it through and give you something unworthy of your time. There’s an adage that more seasoned developers than us are very familiar with – the last 10% takes the longest, and we now understand that. If Empires of the Undergrowth were a piece of Ikea furniture we’d now be at the point where it’s basically assembled, but in tightening one bolt you realize another one needs more work, then that you’ve put a piece in the wrong way round, then another loosens – and boy do we have a lot of bolts to tighten! That doesn’t mean there hasn’t been progress – there has, some of it really beautiful to look at – so let’s crack on. This short cinematic view of the rise of a colony was made by John. We had to ask him to double its length and make it a video rather than a GIF because we thought it was so good. A Formica fusca (black ant) colony rises from its humble beginnings. As the sun sets and day becomes night, the shadows lengthen and the creatures of the Undergrowth stir. Many are more active after dark, meaning more danger for the colonies that live here. Perhaps it is best to stay hidden in the safety of the nest until dawn comes – as it always will, heralding a new day and new opportunities. The ever-changing landscape of the Undergrowth breathes as if it’s a living entity itself. A lot of levels will have a day-night cycle that signals changes to the creatures you’ll be facing, in some cases making it safer to stay in the confines of your nest until day breaks. But sometimes desperation means you’ll have to venture out into the night – this is the balance you’ll have to strike if you hope for your colony to survive. Will you be leading your colony to defeat… or victory? Either way, you’ll have these to look at! A traditional part of RTS games and we wanted ours to be comprehensive and satisfying. You’ll get stats on your activity during the level, an overall score and an overview of the level’s achievements. Please note that the score screen itself is made up of placeholder information since it is a work in progress – sadly, there will be no dinosaur god in the game! Think a game about insects carving nests out of the dirt can’t do drama? Think again. As a progression from the above victory / defeat screens, Liam and John thought it was all a bit impersonal. So they went about giving you a decent excuse for having a little cry about losing a level. It’s all over. The queen is dead; her enemies are feasting on her corpse and some beautifully dramatic music is playing. If you don’t succeed in a level of Empires of the Undergrowth, you will at least be caressed into oblivion by a wonderfully mournful composition. The music in Empires of the Undergrowth is responsive and modular – if your colony is engaged in conflict, it’ll sound more military than it will when they’re at a temporary ceasefire with the neighbors. This means there’s a lot of music to compose, and it’s been immensely satisfying for us to hear this as Liam completes it. Here’s 11 minutes of a track, which shows just how much has to be done. Well now – look at this dapper young chap, off on his morning stroll along the beach, greeting his neighbors as he goes, dressed in his best top hat! “How d’you do?” he seems to say, in finest received pronunciation. 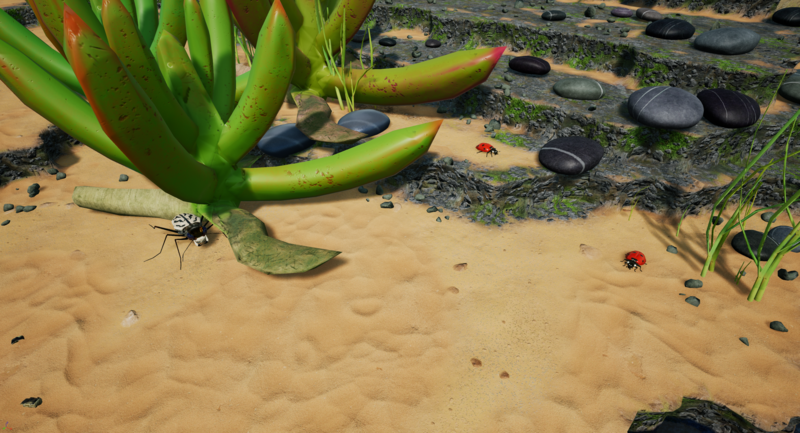 A brief look at one of the more whimsical features we’re including in Empires of the Undergrowth – arachnophobia mode! Off by default and completely optional, of course. We’re hoping the charming selection of headgear will make the spiders a little less threatening for those who don’t like them – and unlike Team Fortress 2, we’re not going to make you unlock them! June was an extraordinarily busy month for us. All of the core mechanics, tools, and setups are finally in place and we are now deep, deep into asset creation (basically artwork, sound and level design) for the Empires of the Undergrowth early access. All three of our developers are putting in lots of hours and it’s really starting to pay dividends. We’re very happy we chose this summer for starting early access – we feel we’re in a really good place to release a solid game that we can build on going forward. It also feels like we’re homing in on a general timescale for early access now, and it won’t be much longer until we feel confident enough to decide on a date, so keep an eye out for that! Here’s some of the more major developments from the last month. As with with May’s newsletter, please keep in mind that these changes will only happen when early access starts – we won’t be updating the demo until after we enter that phase. Long-requested has been more control over how the ants behave. Whilst we’ve been reluctant to give too much direct control over to the player (we don’t want to risk the colony losing its natural, instinctive feel), John has found an area to give more whilst still being thematically consistent. Players will now be able to toggle attacking and gathering behaviors for individual pheromone trails. This means you could have a group of black ants who are purely aggressive, fighting anything in range and never picking up food, or a group of worker ants who won’t attack enemies and will just gather food. Or vice versa, if you wanted. This should please players who like to micromanage a little more without making things overly complex. Something we’ve struggled with for quite a while is – how do we encourage sensible nest building? In nature, ants that dig usually create separate chambers for different purposes – nurseries, food storage, etc. Often in EotU players will carve out large swathes of the map without thought for its layout, which is our fault for not providing decent incentive to do so. In our current internal build, ants walking over a food or nursery tile will suffer a significant speed penalty – currently 50%. This is to encourage the construction of corridors of normal surface where the ants will move at their full speed. We’re not sure we’ve quite got this down yet, and it’ll need lots of feedback (which is where you will come in, eventually! ), and it does throw up a few problems. Should enemies suffer the same penalty? Would that encourage people to use food tiles as enemy traps? Would it be a bit weird if enemy ants didn’t suffer that penalty but yours did? It’s up for discussion, and it’ll come down to testing. Our artist Matt has very nearly completed modelling and animating the list of creatures needed for our early access plan (of the 20 needed, he has just 3 and a half left to do, which is some impressive going!). Matt has genuinely astounded the rest of us with the quality of his work in this area. The above GIF shows the amazing beach wolf spider going through her animation set – walking, attacking, idle, lunging and death. But she also has a more maternal side – check out this video of her defending her recently-hatched brood from a patrol of vicious acid-spraying wood ants (Formica rufa). 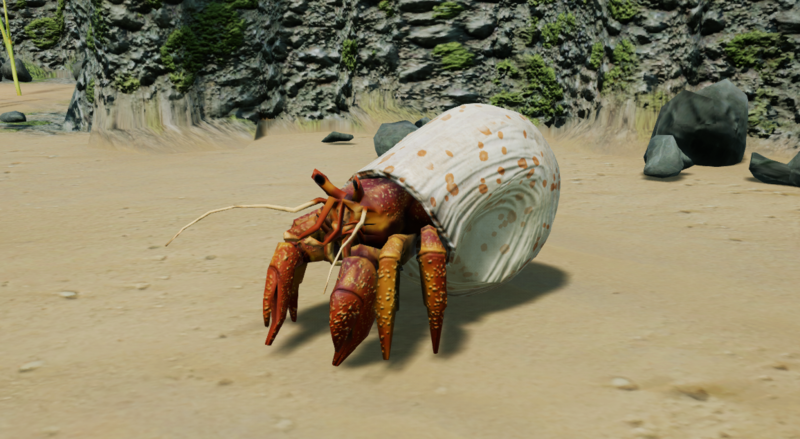 Equally impressive (and significantly cuter) is the hermit crab. These crabs hide in shells they find to protect their vulnerable hind. 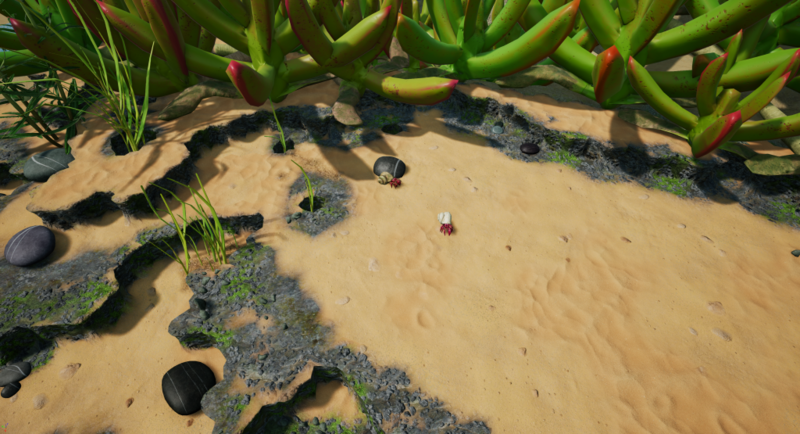 The ones in early access are babies so they’re very small – not much bigger than the ants themselves. Check out the video below to see them in action. You’ll notice when they enter their shell to hide, they become invulnerable and gain a significant portion of their health back, which makes them pretty tough for their size. There’s certainly a threshold level of forces you’ll need to take down one of these cute little crustaceans. And how about something a little easier to digest? In the below video, our ants encounter a pocket of woodworm. They’re defenseless, and struggle hopelessly to get away from the attention of the young black ant (Formica fusca) colony. The woodworm provide an easy source of food for the colony. Also, listen to the dulcet tones of our narrator – who will talk you through the game world and provide valuable information. Our composer and sound designer Liam has been giving himself far too much work with his unique dynamic music system. He estimates that he’s completed about half of what is required for the early access release. As well as composing all of the music, he’s designed a system whereby it responds at jumping-off points to how well the player is doing. Seamlessly, the musical tone will change from calm, to suspenseful, to panicked, to joyful, to triumphant. This means he’s essentially had to create the same musical score repeatedly in different emotional tones! But that’s okay – he’s not one to be afraid of hard work and it all sounds fantastic. Listen here for a little preview of the theme for a totally friendly and not at all terrifying spider. As we steam ahead in our run up to early access May has seen many developments. The process of putting a level together involves rapid iteration between our team members, and each level being added is more complex than any of the demo levels! In putting these together, all aspects of the game have been affected. Here are some of the recent changes and updates to the game – please note that you’ll get your hands on these when we go into early access; there are no more planned updates to the demo. Each level introduces an increasing pool of creatures. Formica rufa – the wood ant – has had multiple models added. These fulfil various roles in the colony from worker, to melee attacker to ranged attacker and the different models gives some visual representation for these. These have all required unique animations. 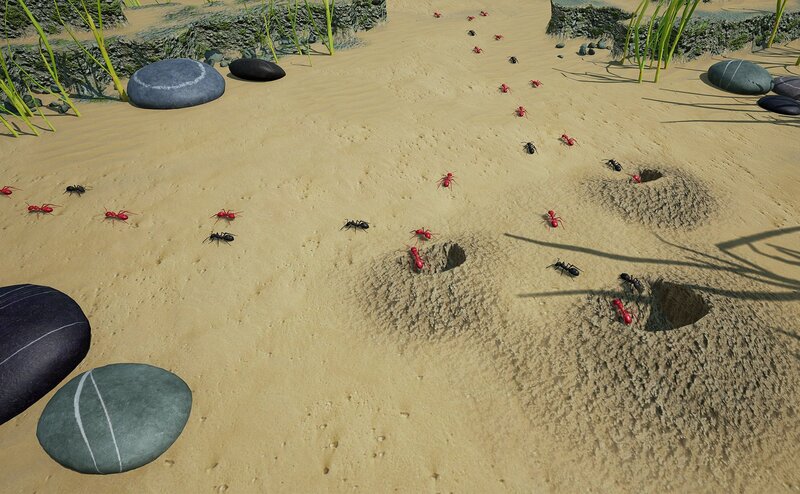 Many of these creatures will follow the standard ant colony behaviour we have been developing from the start, however in order to make each feel both more realistic and unique a whole raft of new abilities and behaviours are being added. Other creatures in the game will now have different behaviours to better reflect their natural tendencies. They can attack and fight furiously to the death, (which is what they do in the current demo), they can flee, they can ignore you or they might attack only in response to being attacked themselves. Some abilities are not damage abilities and are instead buffs for the creature using them. Creatures can now trigger abilities based on more than just having an ability available to use. Certain abilities (such as the woodlouse bunker down) will be triggered when a creature takes damage, or when their health hits a certain level. Some creatures need to perform specific tasks and the default AI structure did not fit. These creatures have very unique AI and they may for example attack only when another creature enters their lair or they may target your colony’s eggs rather than the ants themselves. 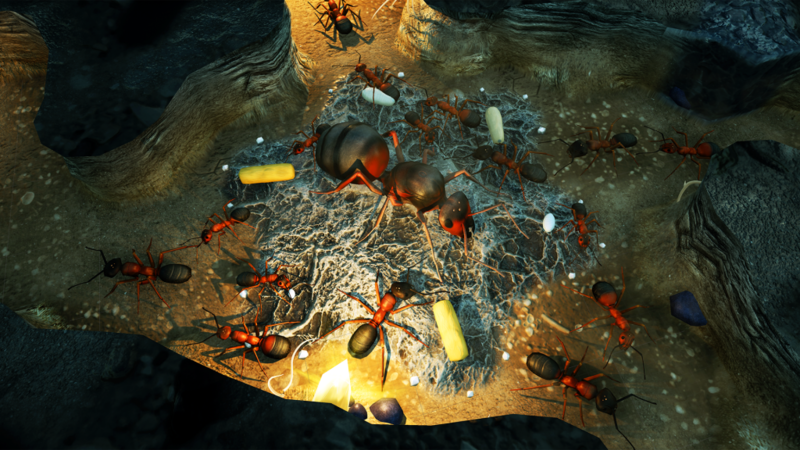 Some creatures fire projectiles such as the wood ants below. Damage done by these is handled differently than melee abilities as there needs to be a check to see if it collided with its target. With audio being added to the new levels, this needs to be triggered at certain points in the mission. This requires an extra careful approach to level design to make sure things fire at the right moment. That being said the maps themselves are coming together very smoothly. The tile-based tools we have developed to put levels together are really starting to pay for the effort that went into making them! Once the levels have had their basic design and gameplay pass, they can go to our art person to get them looking the part. On launch, early access will focus around one key game mode. 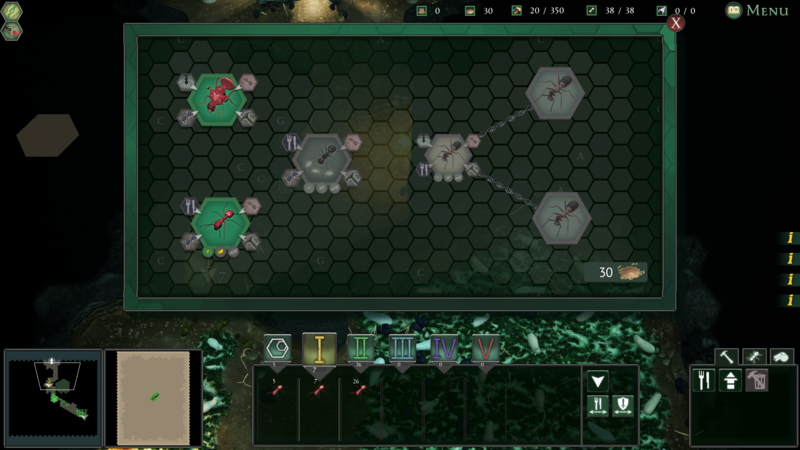 This mode has a home colony (Formica ereptor) that the player keeps coming back to, unlocking upgrades and ant types to strengthen their home colony. To unlock these the player must complete other missions. 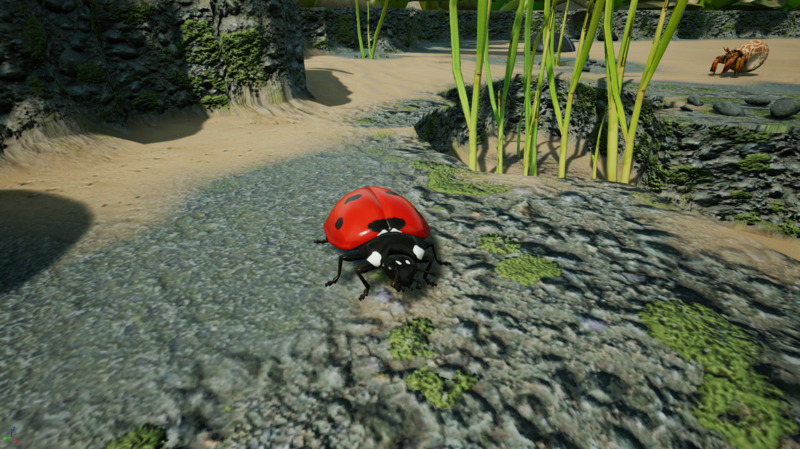 Here the player can play as other ant colonies from nature in scenarios based on the natural habitats of those species. During early access, we plan on releasing new species along with missions based around them that will allow you to further upgrade and personalise your home colony! With all this will come even more enemies, unique abilities and behaviours. We have planned other game modes as well, including endless modes that get harder, survival-based wave modes and other more unique modes that we plan to add as early access progresses. We want to deliver information to the player in an unobtrusive way that is easy to find out more should you want to. Most information in the game will be delivered through an in-game wiki with a search function. This will give both gameplay information and facts about the creatures in nature. During play, the player will be given notifications when there is something new to read about. These can be ignored or turned off from the options menu and will open the wiki to give further info if the player requires it. 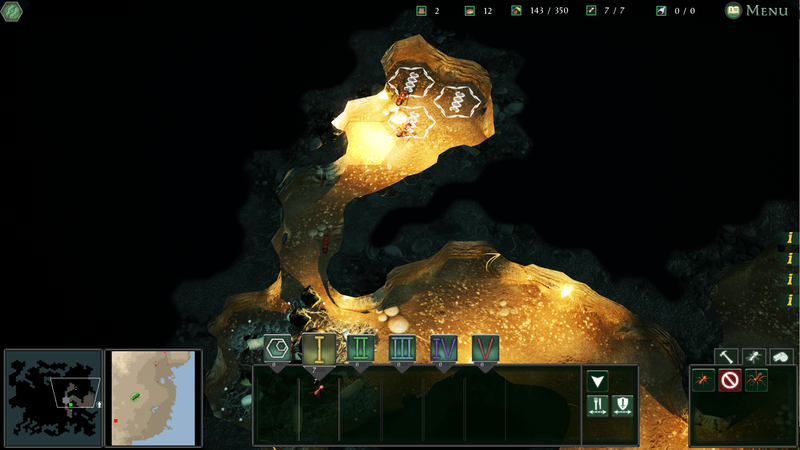 Additionally the whole home colony section of the game requires a unique interface to upgrade your colony and make other decisions. In order to make the home colony work it needs to be able to be saved and loaded. We are still implementing this however we have made good progress – it’s one of the things we get asked most through our Stomt feedback page and we’re glad that we’re working solidly on it now. One of the most requested features are more hotkeys for interacting with the game world and interface, and a way to change those keys to a player’s preferences. We’ve taken some time to make all hotkeys completely rebindable to your liking from the menu. On our return from EGX Rezzed we set about preparing a demo update to include the new features and bug fixes we had done, as well as finalise our plans to get the game to early access. If you have not done so already you may want to try this update available on IndieDB and GameJolt, and backers can download it from the usual link. This month a lot of work has gone into the interfaces and options (including key bindings and game setup and the groundwork for loading and saving). Additionally you should all have your steam keys! If anyone has a problem with their keys please do get in touch and we can help sort the issues. We have finalised the voice lines for early access, found our voice actors and recorded the lines! There are many more and we appreciate each and every one! Type the game name into YouTube and you will see quite a range. Additionally we put together a short video showing our experience at EGX Rezzed, if you came along you may spot yourself! With the multiple colonies have come team colours, you can see some in this screenshot below. Are there any colours you would like to see in the game (maybe some more natural ones) ? That is it for April’s happenings, things are really coming together now as we march towards the beta test and early access! A number of our players have asked if there’s a way to back the game and get access to the Backer’s Demo. We did have a way set up using PayPal, but it was a clunky system that was causing us several problems, so that option hasn’t been available for some time now. We’ve settled on a way for people who wish to support the project to do so before we enter Early Access in the summer and have started selling the game on itch.io, which you can get to by going to the EotU main website and clicking “Support the Development”, or just visiting its page here. Itch.io is well respected, completely secure and automated. Also, unlike when we had the PayPal setup, you won’t need to wait for one of us to manually send you the links! The price using this method is $19.99, which is what we will ultimately be selling the Early Access / final version of the game on Steam for also. This will give you immediate access to the Backer’s Demo which includes the exclusive “Holdout” endless score mode. You’ll also get a Steam key that will give you Early Access as soon as that begins in the summer. This is perfect for those of you who have very kindly expressed a desire to help us out, and for those of you who weren’t aware of the project when the Kickstarter campaign was on and missed the chance then. Steam keys for backers released! Please note: this is not the release of the game, but the Steam keys in preparation for your Early Access this summer! Backers, rejoice! 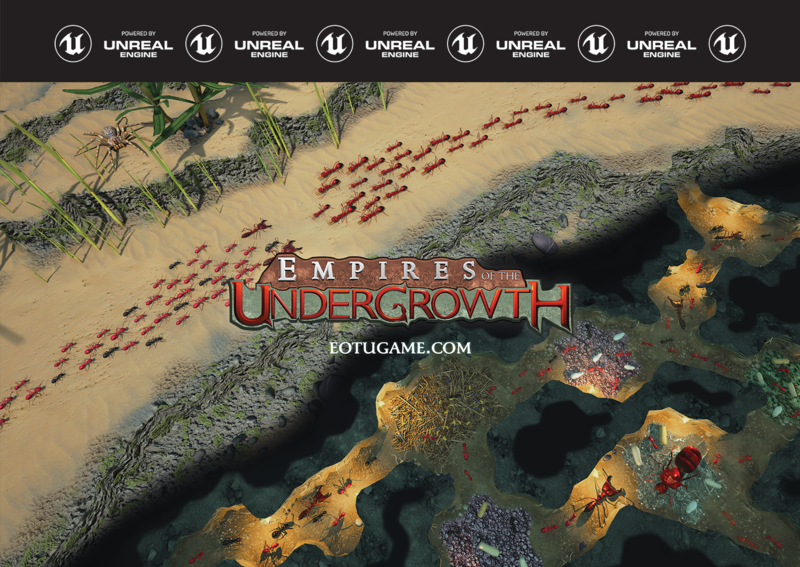 Steam keys for Empires of the Undergrowth have now been sent to your emails. This will be the email associated with your Kickstarter account, or with your PayPal account if you backed after the campaign – so please check that for your key (also check your junk mail folder just in case, sometimes your email provider can confuse things as spam). If you are a beta backer, your key will allow you to download the Backer’s Demo through Steam immediately! When the game goes into beta testing in a few months, your Backer’s Demo will update to be the beta Early Access version. If you are not a beta backer, your key will allow you to add Empires of the Undergrowth to your Steam library, but not download anything yet. When Early Access is released this summer, you will have immediate access to it through Steam. If you backed a tier that includes additional copies of the game, you will receive additional normal keys (not beta keys). You are free to share these with your family and friends, and once activated, they will also get Early Access in the summer. The guys are now soaring ahead to the Early Access release this summer. Once things have settled down from the Steam key release, the three of them will be knuckling down hard to reach that goal, so there won’t be any more demo updates until early access, barring major bug fixes. The upside of this is – there’s only a few months to wait! Early Access will bring the surface, lots of new missions, new ant types, and new modes of play. Exciting times ahead! Go ahead and redeem your Steam keys now! We’re really excited to finally get to this stage – it’s been a long time coming. Entering Early Access this summer! Steam page is up! Since releasing our first demo in Spring 2016 we have received mountains of feedback from the community, which has been constantly shaping the game’s core mechanics and features. We feel this has ultimately resulted in a better overall game and we want to continue moving forward with help and suggestions from players. A side effect of this iterative community focused development, is that whilst we have been putting more time into tweaking the game’s inner workings to create the ideal mix of ant colony realism and compelling gameplay, it has put us behind schedule in terms of producing a final product that we can label as “complete”. We are fast reaching a point where we are able to release something far grander than the original demo. However, while we are confident about the state of the game’s mechanics, and the amount of playable content (including the overground, new ant species and other creatures), there are additional game modes, creatures and abilities that we are still working on. All of these will need balancing, and that process works best with player input. It seems to make little sense holding back the game’s release for what could be another 8-12 months of development whilst we work on additional levels, and features. We would much rather continue our work in the same manner as we have done for the past year: with the help of our enthusiastic ant-loving community. To some of you this will be welcome news, to others who are skeptical of early access titles, it may not be what you want to hear. We cannot avoid the fact that there is a lot more we decided to do with the game than we had originally planned for. We were left with options of releasing a rushed game, pushing back release (potentially to 2018), or continuing on in Steam’s early access. For those who still prefer to wait for the final game, please be patient, we will get there in the end. The early access version will include four new stand-alone missions with unique creatures, music and narration as well as a “formicarium” story mode. This content will be beta tested before we release in early access. Over the course of early access, we plan to introduce new content as blocks of complete missions, ready to play. It is important that we iron out all the bugs before we release into early access. The beta test will take place in the month before release, though we do not yet have an exact date. If you backed on this tier you will be given a game key that allows you to install the game before release. It goes a bit more into detail about the early access plans for the game. As a result of the steam page going live we will soon be sending out the rest of our surveys on Kickstarter and will begin sending keys out to backers. 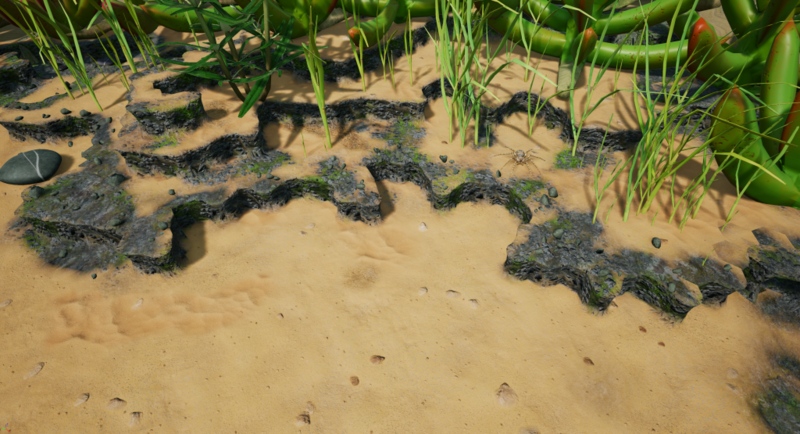 Please note the 0.06 build of Empires of the Undergrowth is undergoing internal testing and will be available to the public when testing is complete. Also note not all changes have been listed. Half of the ants assigned to a trail will now remain at the end of the trail, and when a new trail location is placed, the ants at the end of the trail will head straight to the new location. This makes the control system feel more responsive whilst maintaining the some of the natural trail behaviour. Two new groups have been added allowing more trails. A seed can now contain 5 to 15 food, up from 1 to 3. Black ants cost 50 food to place a tile, and 5 food to hatch a new one. It was too easy to tunnel out huge areas and this change should lead to more thoughtful tunnelling. You should no longer have large numbers of creatures on the same spot moving slowly after a battle, additionally creatures cannot push through each other to reach the front line. All ants now regenerate health at a rate of 1 per second (queen, worker and black ant). This only applies to the player colony, and not enemy ants. This is not yet implemented, but the user interface icon is visible.